Buy hot selling good price powder/granule packing machine,packing scale,sack machine - Shandong Leader Machinery Co.,ltd. 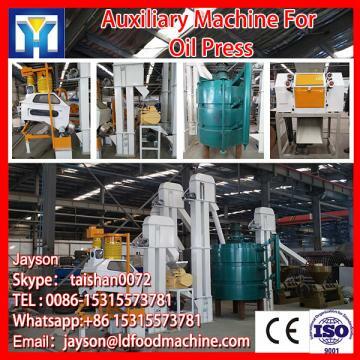 The system is applied to quantitative automatic weighing, filling, kneading, accumulating weigh and times, stitching and conveying with manual assistant for powder, pellet material in the factory or other industry. 2.1) Take three speeds feeding to guarantee the precision at min weight and the speed at max weight. 2.2) The head of bag stitching machine, conveyor, and hot sealing machine can rise and fall. And at the same time, the system is applied to sealing and convey with max and min bags. 2.3 There is shock-absorbing device in weighing system; It could avoid the shock of other devices through floor and tube to affect the weighing system. 2.4) There is good seal in system, and it has dust catcher and aspirator. 2.5) There is guide groove in conveyor roller and guide bars in conveyor belts to avoid cracks. For the whole hot selling good price powder/granule packing machine,packing scale,sack machine,warranty is 12 months,within 12 months,if have equipment quality problems,we will provide accessories freely. After the expiration of the warranty period,if have spare parts problem,we only receive the cost of required replacement parts.We commit we will provide free technical support of equipment all whole life. Our company has engaged in producing and exporting hot selling good price powder/granule packing machine,packing scale,sack machine for many years, and until now, our machine has exported to overseas market, such as Brazil, India, Indonesia, Russia, Thailand and so on, and get the foreign customers' unanimous praise. We believe that you purchase Shandong Leader Machinery Co.,ltd. hot selling good price powder/granule packing machine,packing scale,sack machine is your best and sensible choice.